Treat your dog to a special treat at Mutt Lynch Winery in Windsor. 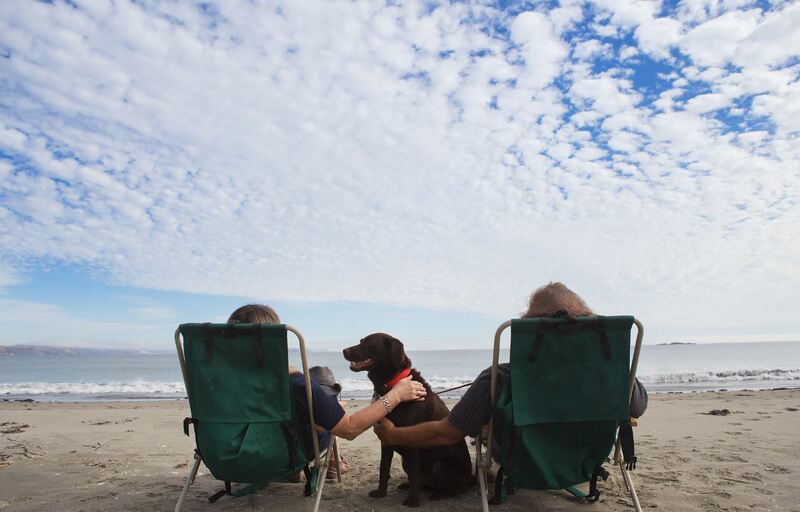 For many of us, our pets are like family, and we want them with us as we travel, relax and play — and fortunately, Sonoma County offers a pet-friendly environment. However, it helps to plan ahead, and to identify in advance the many Sonoma County businesses that welcome dogs, cats, and other pets. Whether you are coming for just a day trip or to enjoy a longer vacation, here's a list to help you start planning your journey with your pet. Dawn Ranch Resort (Guerneville): This 15-acre private resort has a limited number of dog-friendly cabins, for an additional $40 fee per night. Only well-behaved canine companions are allowed, and they must be leashed while on the property. Doubletree by Hilton Hotel Sonoma Wine Country (Rohnert Park): Pets and service animals welcome with a $50 non-refundable deposit per pet, per visit, for up to two pets. Maximum pet weight: 50 pounds. Fairmont Sonoma Mission Inn & Spa (Sonoma): Pets welcome; contact the hotel directly to make advance arrangements. Pets must be on a leash at all times, cannot be left unattended, and are not permitted in eating areas or the pool. Maximum two animals per guestroom; $50 fee per pet, per stay. Service animals always welcome, and exempt from daily charge and some restrictions. Beds, bowls, food treats and toys for dogs/cats will be placed in room prior to arrival; complimentary biodegradable pet waste pick up bags available at front desk. Flamingo Conference Resort & Spa (Santa Rosa): Pet-friendly rooms are available for both dogs and cats for a $50 per stay non-refundable pet fee; advance arrangements are required. Up to three pets of any size are allowed with prior approval, and pets cannot be left unattended. Gaige House + Ryokan (Glen Ellen): One dog-friendly room; pet reservations must be made in advance. Nonrefundable $65 pet fee per stay, which allows up to two dogs per room; maximum dog weight is 40 pounds each. Service animals are always allowed. Dogs must be leashed and attended to at all times, cannot be left alone in the room, and are not permitted in public areas of the hotel. 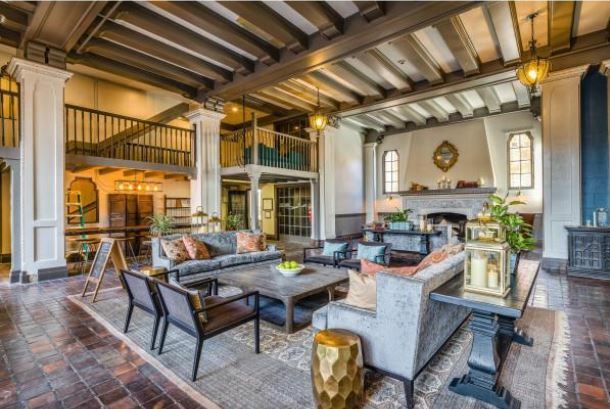 Hotel Petaluma (Petaluma - Pictured Above)): All rooms are pet-friendly, with no species or weight limits; the fee is $20 per pet, per night, with a $100 refundable deposit. For multiple pets, please check in advance with management. Hyatt Regency Sonoma Wine Country (Santa Rosa): Charming and spacious pet-friendly rooms are available for dogs weighing 50 pounds and under, or two dogs less than a combined weight of 75 pounds. At least three days advance notice is required. The fee is $100 per stay for up to six nights; for seven to 30 nights there will be an additional deep cleaning fee of $100. Olea Hotel (Glen Ellen): (reopening August 2018) Pets are welcome in some rooms in this adults-only lodging (age 18 and older). Dogs are provided with a special bed and will receive a welcome basket which includes treats, bowls, and towels. Pet fee is $25 per night. Russian River Escapes (Guerneville): Pets are allowed in homes that are designated as pet-friendly, but are not allowed on the furniture. Owners should clean up after their pets, and never leave a pet unattended. There is a $100 fee per pet for having a non-registered pet or a pet in a non-pet-friendly home. Russian River Getaways (Guerneville, to the coast at Jenner): Offers a long list of dog-friendly vacation homes, from Forestville along to where the Russian River meets the ocean at Jenner. Most of the homes welcome dogs, but please check website for specifics. Russian River Vacation Homes (Guerneville): Dogs welcome with no additional charges at a majority of these rentals; typically, only dogs are allowed, but some homes will make exceptions for other pets on a case-by-case basis. Dogs can be left unattended in the rental if they are properly crated and must be on leash whenever appropriate (in public areas per local leash laws). Dogs are not allowed on furniture or in a hot tub, spa, or pool. Generally, dog-friendly homes provide a list of tips on local dog-friendly beaches, hikes and places to eat. Sea Ranch Lodge (The Sea Ranch): Dog-friendly in a limited number of rooms, for up to two dogs; reservations must be made in advance indicating the number of canine companions. Dogs are welcomed with a dog bed, food bowl, water bowl, placemat, filtered water, tasty dog cookies, and a list of potential dog-friendly activities. One-time fee of $75 per dog. Sheraton Sonoma County (Petaluma): Dogs weighing 70 pounds or less are welcome; please contact the hotel for details. Alexander Valley RV Park & Campground (Healdsburg): Operated by the Dry Creek Rancheria band of Pomo Indians, this campground welcomes pets for a fee of $3 per night per pet, with a maximum of two pets per site. Pets must be on a leash at all times (even when in the river), and owners and pets must follow all park rules. Bodega Bay RV Park (Bodega Bay): All pets must be on a controlled leash no more than 6 feet long, except when in the park's pet walk area. Owners must clean up after pets; bags are provided in the Pet Walk area. California State Parks: Dogs are permitted in most state parks, but must be on a leash no more than 6 feet long, and (unless it's a service dog) a dog cannot be taken into buildings or on trails that are not specifically designated as allowing dogs (which means dogs are prohibited on most trails); for sanitary reasons, dogs are not allowed on most state beaches. In Sonoma County, dogs are not permitted on any state coastal trails or at Goat Rock beach. State parks in Sonoma County with campgrounds include: Austin Creek State Recreation Area (leashed and licensed dogs are allowed to walk with owners on paved roads, but not on the trails or in any other areas); and Sugarloaf Ridge State Park (leashed and licensed dogs are allowed in the park, but are not permitted on any trails or service roads). Casini Ranch Family Campground (Duncans Mills): Dogs are welcome in this private campground for a $2 daily fee per dog, and there are two fenced off-leash dog areas. However, no aggressive dogs (those that display aggressive behavior or have a history of attacking people or other animals) are allowed to stay in the campground, and those that bark constantly or are otherwise annoying may be asked to leave. Dogs must be on a leash at all times (except when in the fenced dog areas), and kept inside your RV or tent at night. Cloverdale Wine Country KOA Camping Resort (Cloverdale): Most pets are welcome, but Doberman, Rottweiler, or pit bull dog breeds or mixes are prohibited because of insurance restrictions. All pets must be on a leash no more than 6 feet long, with the owner on the other end of the leash. Liberty Glen Campground at Lake Sonoma (Geyserville): Operated by the US Army Corps of Engineers, this campground allows pets for no additional fee. However, pets must be on a leash no longer than 6 feet at all times, and cannot be left unsupervised in a campsite. Campers are responsible for cleaning up after their pets. Ocean Cove Store and Campground: Dogs are allowed in this private campground for a fee of $2 per night, but must be on a leash at all times (per Sonoma County leash laws). Porto Bodega RV Park (Bodega Bay): Dogs are allowed in this private campground for no additional fee, but must be well-behaved, under the owner's control, leashed, and cleaned up after at all times. The campground includes a dog walk area and a sports fishing center that allows dogs on their boats. River Bend Resort (Forestville): This private campground includes a dog walk area, and allows dogs in RV sites for a $5 flat fee per stay. However, due to insurance restrictions, pit bulls, pit bull mixes, Staffordshire terriers, and aggressive dogs are prohibited. Dogs must be on a leash when outdoors. San Francisco North/Petaluma KOA Campground (Petaluma): This private campground welcomes dogs, except pit bulls and pit bull mixes are prohibited. An off-leash dog park is on site, and there are dog friendly Wine Country Lodges which sleep up to four people (a minimal fee per pet may apply in lodges). 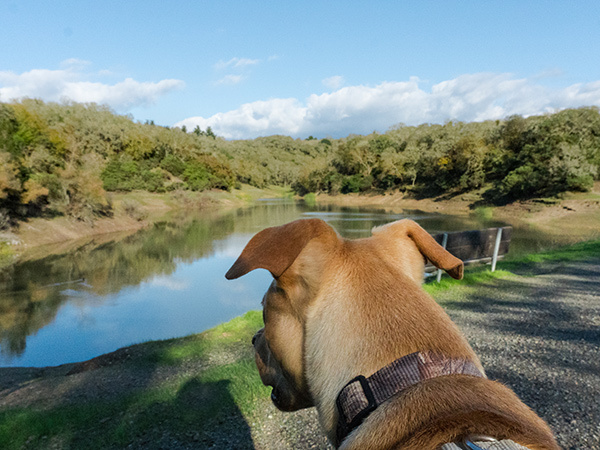 Schoolhouse Canyon Campground (Guerneville): Dogs are welcome for a fee of $5 per night at this private campground, except for except pit bulls, mastiffs, Staffordshire terriers, American bull dogs or any dog that has shown aggression towards other dogs or people. 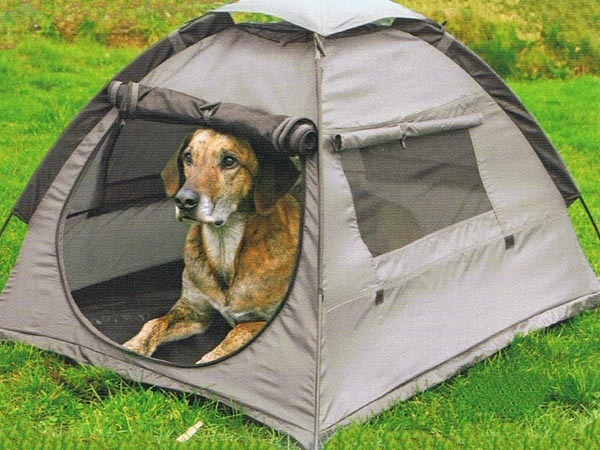 Pets must be on a leash at all times, and contained in your tent, camper or trailer at night. Pets cannot be left unattended at any time, and owners must always clean up after their pets. Dogs that are unable to remain quiet will not be allowed to stay for a second night. Sonoma County Regional Parks: The county operates more than 50 recreational sites, and most welcome licensed and well-behaved dogs on leashes no more than 6 feet long. Campgrounds are included at Doran Regional Park (Bodega Bay) with individual campsites (no RV hookups) and a restroom with flush toilets, electrical outlets and coin-operated showers; Gualala Point Regional Park (The Sea Ranch) with 20 tent sites (no RVs), flush toilets and a coin-operated shower; Spring Lake Regional Park (Santa Rosa) offers individual and group camping from May through September, with restrooms with flush toilets, electrical outlets and coin-operated showers (no RV hookups); the 210-acre coastal Stillwater Cove Regional Park (Jenner) with individual sites, a restroom with flush toilets, electrical outlets and coin-operated showers, and a dump station (no RV hookups); and Westside Regional Park (Bodega Bay) with individual campsites, a restroom with flush toilets, electrical outlets and coin-operated showers, and a dump station (no RV hookups). California State Parks: Dogs are permitted in most state parks, but must be on a leash no more than 6 feet long, and (unless it's a service dog) a dog cannot be taken into buildings or on trails not specifically designated as allowing dogs (which means dogs are prohibited on most trails); and for sanitary reasons, dogs are not allowed on most state beaches. 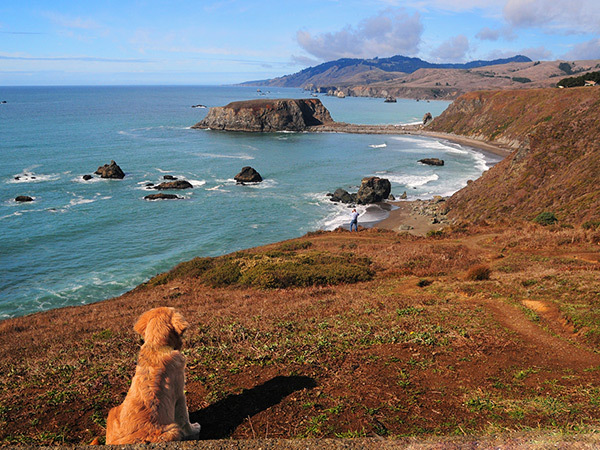 In Sonoma County, dogs are not permitted on any state coastal trails or at Goat Rock beach. State parks in Sonoma County include: Austin Creek State Recreation Area (leashed and licensed dogs are allowed to walk with owners on paved roads, but not on the trails or in any other areas); Armstrong Redwoods State Natural Reserve (leashed and licensed dogs are allowed to walk with owners on paved roads, but not on any trails); Jack London State Historic Park (leashed and licensed dogs are welcome only on the 1.2-mile Wolf House trail and on a 1-mile circuit within Beauty Ranch); Sugarloaf Ridge State Park (leashed and licensed dogs are allowed in the park, but are not permitted on any trails or service roads). Monte Rio Community Beach (Monte Rio): Leashed and licensed dogs are allowed on the Sandy Beach portion (west of the bridge) at this Russian River beach operated by the Monte Rio Recreation and Park District. Cornerstone Sonoma: Located in the southern end of the Sonoma Valley, Cornerstone is home to unique shops, a series of nine walk-through gardens (which are changed on a periodic basis), and the Sunset Magazine Outdoor Kitchen and Test Gardens. The entire Cornerstone site is pet friendly. Swede's Feeds (Kenwood): This pet-friendly, family-owned shop stocks garden and pet supplies, an eclectic selection of household items, and a variety of hand-made garden sculptures. You can't miss the 10-foot dinosaur out front. The Barlow (Sebastopol): This dog-friendly business community sprawls over 12 acres in downtown Sebastopol, with tree-lined streets and grassy areas. It is home to artisans, food producers, wine makers, and more. Kunde Family Winery (Kenwood): This dog-friendly winery periodically offers a four-hour dog hike for guests and their furry friends; the hike includes wine tasting and a wine-country lunch; a portion of the $75 per-person fee is donated to Dogwood Animal Rescue Project and the Sonoma County Humane Society. Pre-registration is required and space is limited. Larson Family Winery (Sonoma): Dogs are welcome to accompany their human companions on a picnic or private party at Larson Family Winery. Take a walk together or relax in the spacious open area overlooking its Estate Chardonnay vineyards. Mutt Lynch Winery (Windsor): Dogs are honored guests at Mutt Lynch. 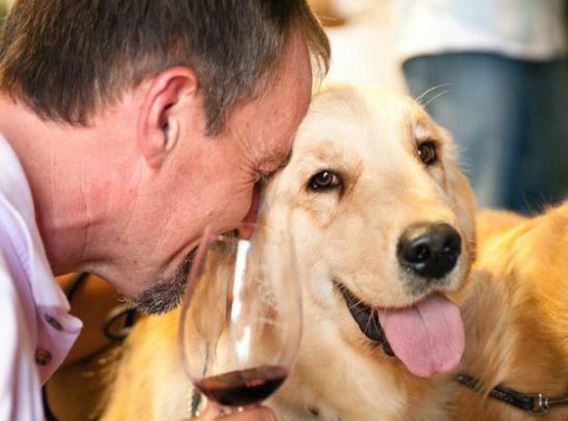 Voted THE most dog-friendly winery by Bay Woof magazine, the winery regularly holds dog-themed events like Yappy Hours, a Canine Classic benefit hike/run, and its annual Dog Days of Summer open house. A portion of proceeds from every bottle sold is donated to local animal rescue organizations. West Wines (Healdsburg): This pet-friendly small winery is run by a husband-and-wife team. Dogs can enjoy some water and shade outside by the outdoor seating area overlooking the vineyard. To find many more options, check our list of Sonoma County Wineries, click on "Amenities" and then click on "Pet Friendly." Ernie Smith Regional Park (Sonoma): This county park includes a half-acre, fenced, off-leash dog park with picnic tables and a pet drinking fountain. Licensed dogs are allowed elsewhere in the park only on a leash no more than 6 feet long. Healdsburg: The City of Healdsburg provides fenced dog areas in Badger Park (half acre) and Villa Chanticleer (1.5 acres). Petaluma: The City of Petaluma offers several fenced dog-run areas. The largest is the 7.83-acre Rocky Memorial Dog Park at the end of Casa Grande Road south of Lakeville Highway. Fenced dog parks are also located in Arroyo Park, Bond Park, Del Oro Park, Glenbrook Park, Lucchesi Park, McNear Park, Oak Hill Park, Prince Park, Sunrise Parkway, Westridge Open Space, Wiseman Airport Park, and the urban separator area at the intersection of Corona and Ely. 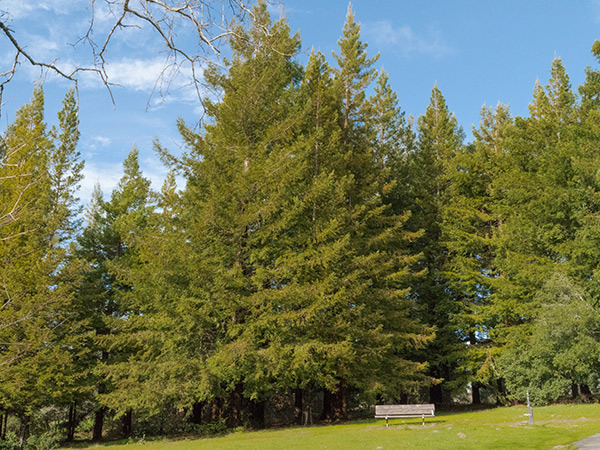 Ragle Ranch Regional Park (Sebastopol): This 157-acre county park includes a half-acre, fenced, off-leash play area, with a redwood chip surface, mud-free dog-watering area and easy-access parking. One hour each day is reserved for small dogs (up to 30 pounds); from 11 a.m. to noon Monday to Friday, and from 3 to 4 p.m. Saturday and Sunday. Rohnert Park: The city of Rohnert Park operates three enclosed dog areas where dogs can run off leash: Rohnert Bark, 5010 Robert’s Lake Road, with two exercise areas (one for small dogs, one for large) on one-third acre; Field of Friends, 7471 Bernice Ave., located behind the outfield fence of the baseball field, with shady areas and nearby restrooms; and Rohnert Park Animal Shelter, 301 J. Rodgers Lane, with several exercise areas designated as a dog park. Santa Rosa: The city provides fenced, off-leash areas for dogs in De Turk Round Barn Park (quarter acre), Doyle Community Park (quarter acre), Galvin Community Park (half acre), Harvest Park (half acre), Northwest Community Park (half acre), Place to Play Park, and Rincon Valley Community Park (half acre). Sonoma: The city of Sonoma operates a quarter-acre, fenced, off-leash dog area at 151 First St. W., with a picnic table and benches. Sonoma Valley Regional Park (Glen Ellen): This 162-acre county park includes the Elizabeth Anne Perrone Dog Park, a fenced, one-acre, off-leach play area with a double-gated entry, dog drinking fountain, and a shade gazebo. The park also offers paved and dirt trails; outside the play area, dogs must be on a leash no longer than 6 feet. Windsor: The City of Windsor provides a half-acre fenced dog park in Pleasant Oak Park, 302 Sugar Maple Lane. There are so many pet-friendly places and businesses in Sonoma County, we may have missed a few. Let us know if you find a favorite. And rules do change, so double-check with each company or location before visiting with your animal companions. Please confirm with the individual hotel, restaurant, or business prior to your stay. For more details, read Sonoma County Parks to Walk Your Dog and Pet-Friendly Restaurants with Treats for Your Dog, and see Sonoma County's safety tips for water activities.